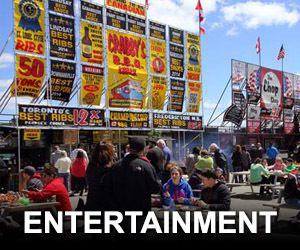 The 2019 Rotary Ribfest on the Miramichi, hosted by the Rotary Club of Newcastle, will take place the weekend of May 24-26. 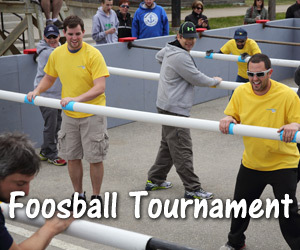 Plans are well underway and we look forward to the Ribbers, Human Foosball Tournament, fabulous Local Entertainment, Children and Family Activities, and the Open-Air Inter-Faith Service. Check back for updates. 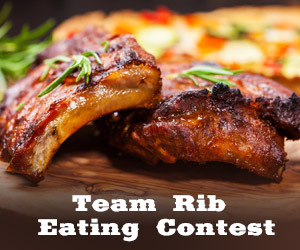 Interested in becoming a volunteer with Ribfest? Click here for more details. We have a winner! Kimberly Bourque was our random draw winner! In support of New Brunswick Literacy Day, the Rotary Club of Newcastle is giving away two adult novels and two childrens stories! 😍 What do you have to do? Like, share, and tell us what YOUR favorite book is! Liked and shared! My daughters favourite author is Robert Munsch! She loves all his books! I enjoy John Grisham books. The favourite book in our house right now is Might Might Construction Site. My 1 years old wants me to read it over and over! I never had a love for reading so I read to Maya every night hoping it helps her develop one. My fav was The DaVinci code and the five people I met in heaven. “Suzanne’s diary for Nicholas” by James Patterson. And basically any and all James Patterson books! My oldest son loves Harry Potter, captain underpants, etc Youngest 2 love kids comics, lego books, Disney They just love books!! I have so many favourites...Harry Potter is way up there though! Diary of Anne Frank ! Adrianne’s favourite author is Robert Munsch!!!!!!!! My brother is a Tattooist and I need to get me Educated! Tee hee! Liked and Shared! It's really difficult to choose a favorite out of the Lord of the Rings trilogy! I couldn’t hope to pick a favourite author even, let alone narrow it down to one book. I’ve read many books that I enjoy reading over and over again.